There’s also great vintage footage of Angelou singing, as well as contextual reminders of her role in the Civil Rights Movement. 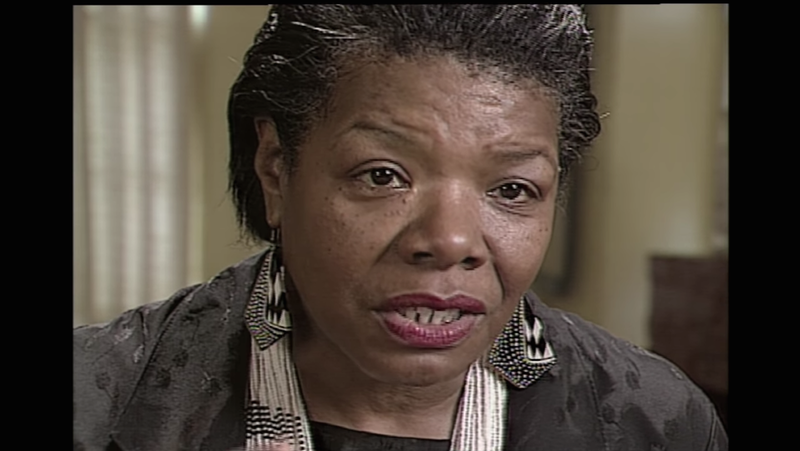 Those interviewed for the film include her son Guy Johnson, Cicely Tyson, Common, Bill Clinton and Hillary Clinton, who says of I Know Why the Caged Bird Sings, “It reflected my own mother’s life.” The largest presence in the trailer is, of course, Angelou’s own brilliant words. “When I reached for the pen to write, I have to scrape it across those scars,” she says. Filmmakers Bob Hercules and Rita Coburn Whack directed the documentary, which hits theaters October 14.